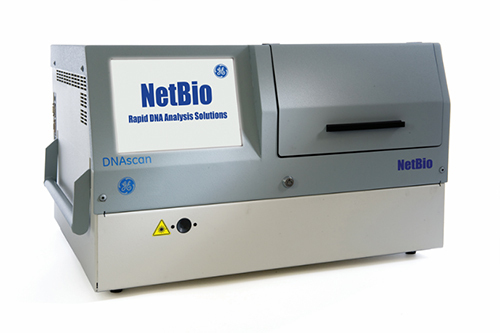 The DNAscan 6C Rapid DNA Analysis System is a six-color platform that increases short tandem repeat (STR) chemistry options with its High DNA Content Flexplex BioChipSet Cassette. The six-dye Flexplex chemistry generates STR profiles containing 27 loci. The new Flexplex assay co-amplifies 23 autosomal STR loci, three Y-STR loci, and amelogenin for advanced sample discrimination. Flexplex chemistry offers global compatibility by spanning the Extended European Standard Set, the expanded US CODIS core loci, and other region-specific loci. The system performs sample-in to results-out processing with Expert System software, providing STR profiles for up to five samples in less than 90 minutes.